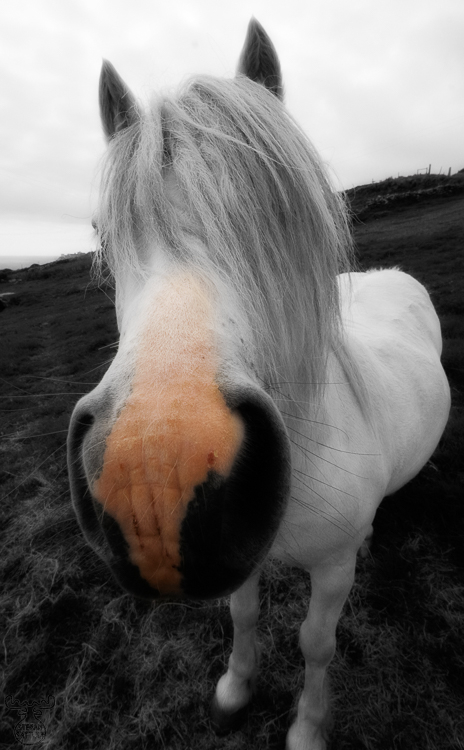 A really nosy horse with obviously limited eyesight. Bad luck I had the wide angle lens attached that time - blowing the nosy nose up to an unusual size. Some limited changes in color saturation put the poor horse over the edge.